The first thing that stuck out for me was the fact that the memoir did not have a name to it, which immediately suggested to me that she would be a very understated girl who perhaps thought her memories were not impressive enough to warrant a fancy title. The second aspect of Clarke’s memoir that made it an easy decision for me was that she was born in Tipton, West Midlands, a short distance from the town that I grew up in. From the brief overview about her, it states that she was a teacher, a career that I am hoping to follow and it showed me just how similar the two of us were, except for the obvious fact that she was born in 1887, a century before myself. The main themes of her autobiography are her family life and the changing education system whilst she was growing up. She was born as a ‘Jubilee Baby’ in the height of Queen Victoria’s reign, and the way she talks about her family is so loving and shows just how much admiration she holds for her parents, particularly her Mother; ‘I can still visualise my Mother feeding the baby.’ (Clarke, 3) The small things that most people take for granted she was able to remember and write them down in such a positive light, which makes her autobiography all the more special, as well as the many family photographs she includes in her memoir. Her time at school is the main focus, and her tales of ‘Dame School,’ ‘Board School,’ and Clough’s College’ are just some of the contributions she makes in regards to her schooling, that really reflects the changing of the education system under Queen Victoria’s reign. The detail that she goes into about each section of her school life suggests that she is truly passionate about education and learning, which essentially contributes to her decision to educate other young children in her adult life. 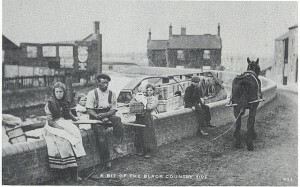 Yet although there is a subsequent focus on working-class families in the 19h century, Clarke is quick to remove any stigma of her family being in poverty; ‘There was a lot of poverty amongst ordinary people, but as my Father was a plumber, and we also kept a shop, we were comfortably off.’ (Clarke, 1) This being said, the working-class atmosphere of her schooling and indeed with her friends makes the class system a massive part of her life, and we are able to see just how much it influenced her in both her childhood and adult life. She not only writes in the up most detail about her childhood and her path into teaching, but we also get to share with her the happiest memories involving her husband that she married in 1913 and when I finished reading her memoir, I was touched by the advice she gives at the end of her memoir, with a beautiful anecdote about love which I found really cemented together the memoir and made it certain for me that I would be very privileged to further my research into Maud Clarke, as she is quite an inspiration to me. One Response to "Maud Clarke (b. 1887): An Introduction"